WPP has upped its stake in comScore through the purchase of 120,000 comScore shares at an average cost of $38.56 each and a value of $4.62m, and a second purchase of 84,913 shares at an average price of $38.57 each, and a total of $3.27m. WPP already owns a 'significant' stake in comScore. In February, WPP took a 15% to 20% stake in the digital analytics firm through its Kantar data and insight arm, while as part of the deal, comScore acquired a number of Kantar assets in Europe. Later this year, comScore announced it was acquiring multi-screen measurement firm Rentrak, in which WPP owns a 16.7% share. 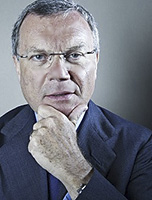 Prior to the deal being revealed, WPP CEO Sir Martin Sorrell (pictured) urged Rentrak and comScore to join forces and find a solution to what he described as 'faulty measurement' of digital ad views and viewability. The latest acquisitions were disclosed in a filing with the Securities & Exchange Commission, which is required for large shareholders who own at least 10% of a company's shares. Web sites: www.wpp.com and www.comscore.com .